I was stupid lucky enough this Friday to make the 400+ mile round journey up north to the Leeds International Film Festival for the day. Given the length of the journey and the insane price of train tickets here in the UK that might seem a bit excessive to catch a couple of movies, but the festival’s anime weekend was being kicked off by an unmissable double bill. First off was Mamoru Oshii’s lost, experimental classic Angel’s Egg (more on that to follow), being shown in the UK for the first time in over 20 years, but the real incentive for me was to see the UK premiere of Momoru Hosoda’s latest blockbuster Summer Wars. Hosada has already made big waves with his 2006 hit The Girl Who Leapt Through Time – the charming sci-fi comedy-drama that touched the hearts and imaginations of both critics and audiences and earned a place in my list of 10 anime films to see before you die – and as ever following up such a renowned piece of work is a tough challenge. Set in an alternate 2010, the film centers around 17 year old otaku Kenji Kosio, a socially inept maths genius, who spends most of his waking hours immersed in the virtual reality world Oz, the ultimate convergence of communication technologies that has fused social networks, online games, telephone systems and just about every other form of internet related activity into a single, all encompassing interface. Shocked one day to be invited by his unrequited crush Natsuki Shinohara to go and stay with her and her family in Nagano over the summer, Kenji nervously agrees, believing he is going to lend a helping hand with the grand celebrations for Natsuki’s grandmother’s 90th birthday. Which is why he is even more shocked when he is introduced on arrival as Natsuki’s fiancee, the girl wanting to assure her aging grandmother that she is happy. 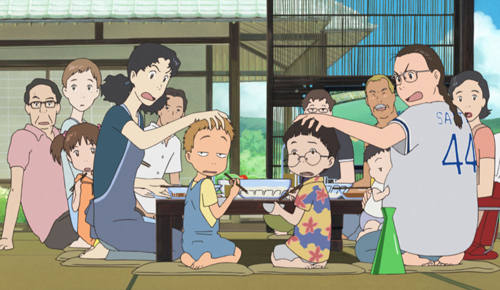 While watching him clumsily take on the part we are also introduced to Natsuki’s huge extended family in another fantastic display of Hosoda’s ability to portray realistic, everyday characters with humanity and humour. It was the hallmark of TGWLTT, and here Hosoda does it again with apparent ease and flourish, especially considering the scale of the cast he has chosen – I can’t remember another anime film that effortlessly portrays so many fleshed out, convincing characters without once resorting to easy stereotypes. While certain archetypes have obviously been chosen – the insolent, black-sheep-of-the-family-uncle, the prissy aunt and the moody, reclusive video gaming teenager are all here – not once throughout the course of the story does Hosada leave you in any doubt that this are real people, with emotions and depth beyond their initial two-dimensional appearances. 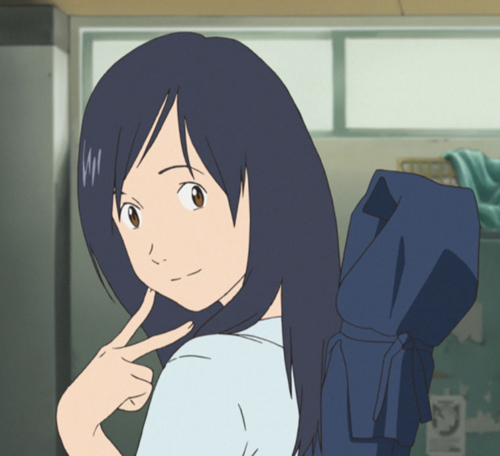 Also as with The Girl Who Leapt Through Time, just when Hosoda has lulled you into believing it may be just another, all be it exquisitely crafted, romance tinged family comedy, he reminds you of Summer Wars‘ science fiction roots. On the first night at Natsuki’s family home, as the embarrassed Kenji is trying to catch some sleep, he receives an anonymous text message inviting to him to solve a complex maths code. Unable to resist the challenge he stays up till dawn trying to solve the puzzle, only to wake for breakfast – in one of the films most amusing sequences – and find himself the main story on the TV news. It turns out that he has not only inadvertently helped someone hack Oz’ highest level security systems, but also allowed them to frame him for it. Suddenly Kenji has to not only convince Natsuki’s family that he’s not a cyber-terrorist, but also try to enlist their help in stopping the mysterious hacker before the damage to Oz has devastating consequences for the real world. 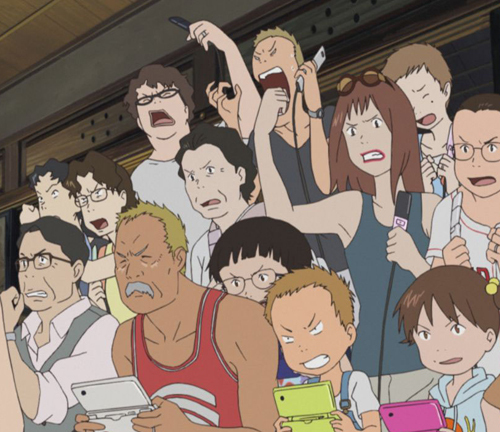 Summer Wars isn’t a film heavy on subtext or philosophy, with its perhaps most obvious theme being modern society’s over-reliance on technology, but elsewhere Hosoda seems to have something to say about the nature of families and relationships in the internet age. 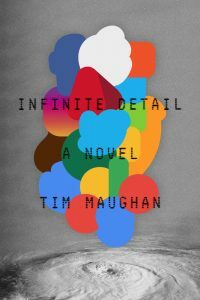 To say it is about virtual communities versus real families would be an over simplification, and certainly he doesn’t want to take sides – even while Kenji is envious of Natsuki’s close knit clan, we are subtly reminded that family life is never perfect, and how non-biological bonds can often be the strongest. 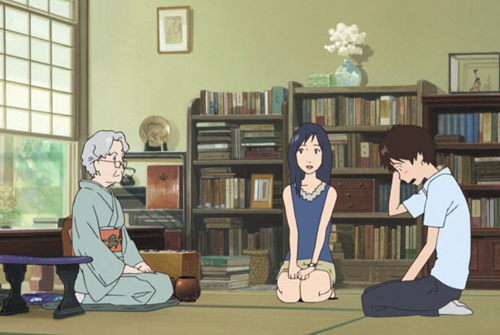 It is tempting to see this as a response to Miyazaki’s outspoken comments on the detrimental effects of the virtual world, especially in light of Hosada’s short-lived career at Ghibli, but in reality the director is refusing to preach at all, the main message here being that strength and happiness lies in the bonds between individuals, and the nature of the connection – digital or analogue, blood or friendship – is ultimately immaterial. Visually the film is as stunning as could have been hoped for after the subtle splendor of TGWLTT. The character design is immaculate throughout, with Yoshiyuki Sadamoto again not resorting to generic or stereotyped work despite the unusually huge cast. Similarly the background work is exquisite, and instantly reminiscent of the best of Makoto Shinkai’s productions, and elsewhere TGWLTT’s eye for subtle slapstick makes a welcome, occasional return. However where the film really grabs the attention is in the depiction of the virtual world Oz. 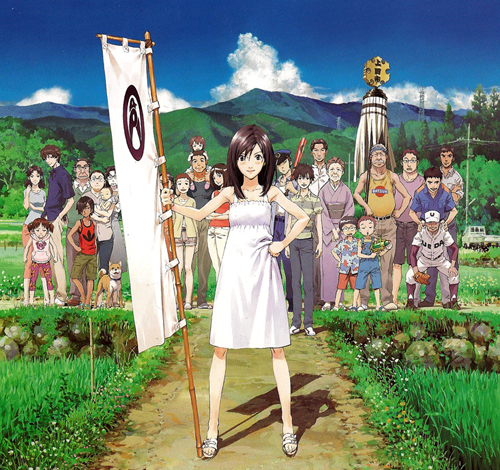 Those that remember the brief, stylish CGI time leap sequences from Hosoda’s last film will recognize the basic aesthetic feel, but here influences from video games, anime, consumer GUI and Japanese mascot design are drawn together to make a frenetic, futuristic but utterly believable environment populated by avatars that somehow look both cutting-edge and all-too familiar. Perhaps the film’s only weakness is its only briefly explored back story as to the identity of the mystery hacker. 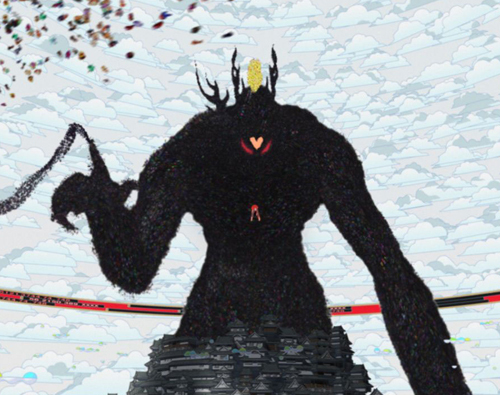 I won’t reveal the answer here, but it’s a cyberpunk standard familiar from everything from Neuromancer through Ghost in the Shell to Denno Coil – the later, incidentally being a work that Summer Wars seems to give a noticeable nod of acknowledgment to. Both Madhouse productions seem to want to achieve the unlikely pairing of VR techno-thriller and Ghibli-esque family adventure, and while both succeed, there’s no denying Summer Wars does it in a more big-budget blockbuster style. And I mean that as a compliment; while it may be louder and more colorful than the The Girl Who Leapt Through Time, at its heart still lies a similarly subtle, intelligent and touching film. 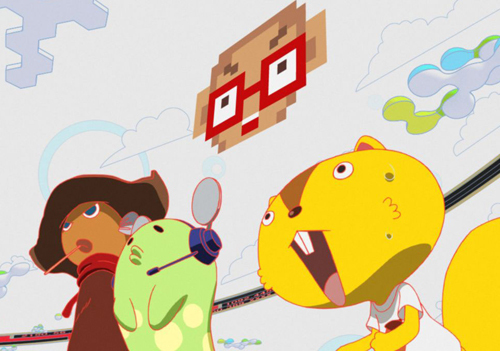 As such Summer Wars is a rare treat, and one you should enjoy as soon as you can. 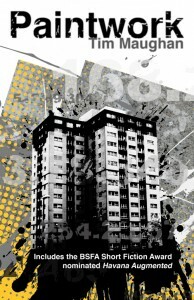 Thanks for the heads up on this new film, any chance do you think that this will have a limited run in any UK cinemas ? I hope so Danny – it’s a film that deserves to be seen by as wide an audience as possible, especially as it has quite a mainstream appeal – but I’m not sure how likely it is. Far more likely is that it will get further festival screenings, and will probably turn up at the Barbican or NFT for London people. Keep an eye out – if I hear of any screenings I’ll let readers know. Sounds like great fun. Loved TGWLTT so this should undoubtedly be another treat! Will be keeping an eye out for this showing up down south. I’d already booked my tickets for Ponyo and Mai Mai Miracle when I found out about Sumer wars showing at Leeds. 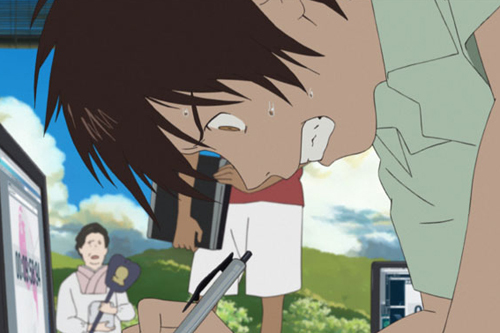 As part of the Barbicans Animate the World week, Summer wars is being shown on Tuesday 25 May at 18:15 . I believe its also being shown tomorrow – Saturday 22nd May – at the NFT as part of the BFI anime weekender.